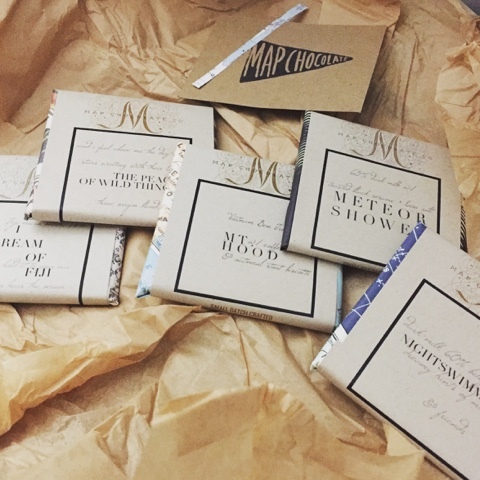 A few weeks ago, as a result of a contest by The Sassy Cupcake, I received a box of Map Chocolate. 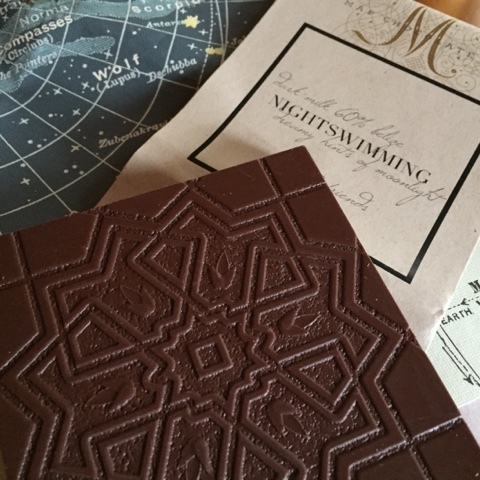 Each small batch crafted bar beautifully hand wrapped in a different paper, some maps, some with an interesting motif that echoes the bar it protects. Tasting notes of molasses like but a bit milder than typical molasses. Currant, grape. Finish is long and deep with roast and brown sugar notes. Tasting notes whirl as a blend of spicy/fruity Ben Tre with coffee and earthiness of the buckwheat biscotti. Biscotti provides a really nice crunch. Coffee plays well with the chocolate with both high fruity notes as well a bass of low and deep notes. Malty finish and I want another piece to savor and crunch. I Dream of Fiji. 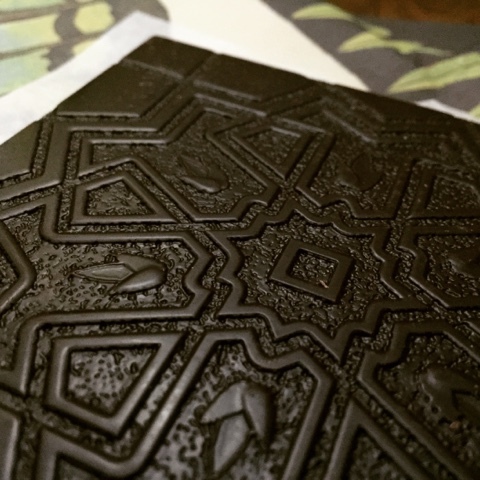 Map Chocolate. 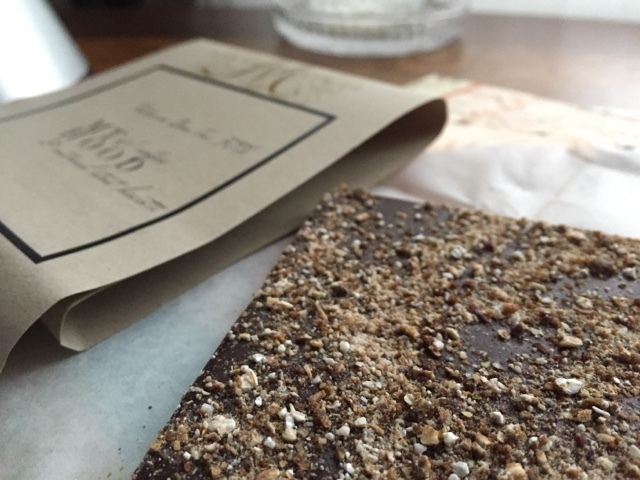 Thick bar, a pleasure to chunk off a piece for tasting. Tasting notes. Texture as smooth as silk with smoky plum notes. Fades to walnut. Cream finish. Tastes like sweet caramel and hazelnut. Almost some home made (by grandma of course) sugar cookie notes. Perhaps a hint of citrus, maybe lemon? A bit of rough texture mid melt. Finishes with sweet caramel notes. Taste experience, silky smooth salty and sweet melt to start. Caramelly and nutty rich notes then suddenly light, fresh, fruity notes of lychee spin in and out while the salt and sesame come back to visit in short bursts. Amazing milk and salt bar. Most of the time I find bitter hiding behind salt in chocolate. Not at all this time. Extremely well balanced. 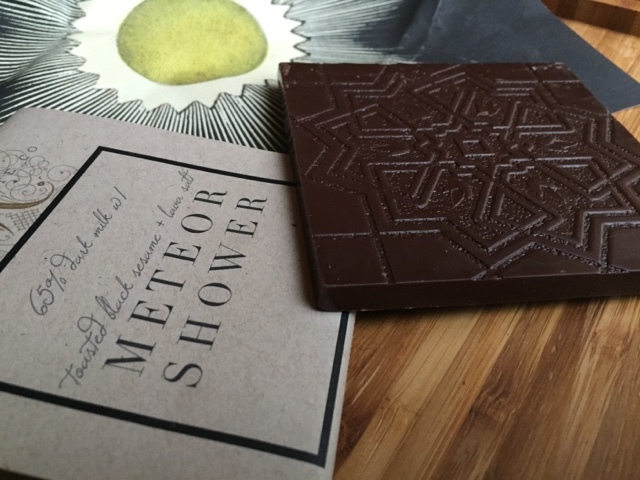 Map Chocolate, you creative genius, I've never been one to love inclusions, until now. 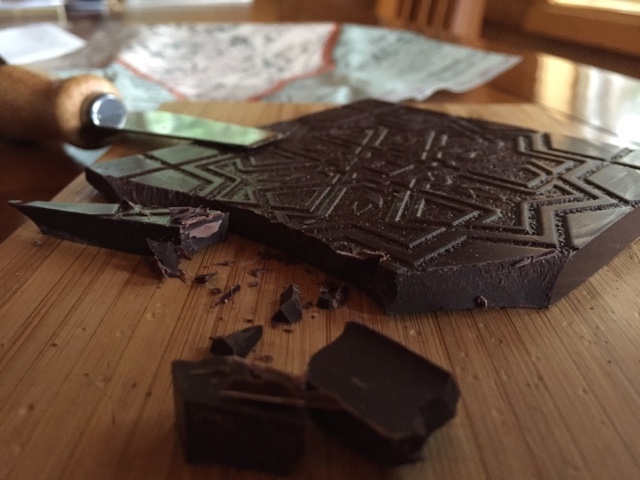 Complex, well balanced inclusions in beautiful chocolate. Mackenzie is the master of inclusions! Violet Sky is my other favorite. So glad you enjoyed her bars.